I hate to break it to ya Rob, but comcrap won't be any better. The problem with cable is, everyone in your neighborhood is sharing a trunk/node and speeds degrade with more ppl on concurrently. Technically this is true for cable services; however, if U-Verse is available, or Verizon FIOS, then this is not necessarily correct. I'm on U-Verse; have been for many years. Our speeds are stable. I can speed test at 9AM, 12PM, 4PM, and 8PM and get the same speeds each time. We are on 45 Mb DL speeds, and usually test higher, at around 47 Mb. U-Verse is Fiber in the street to the VRAD, phone line from VRAD to home NID, CAT-5 from NID to Remote Gateway. We have never had an internet outage, nor any slow downs. 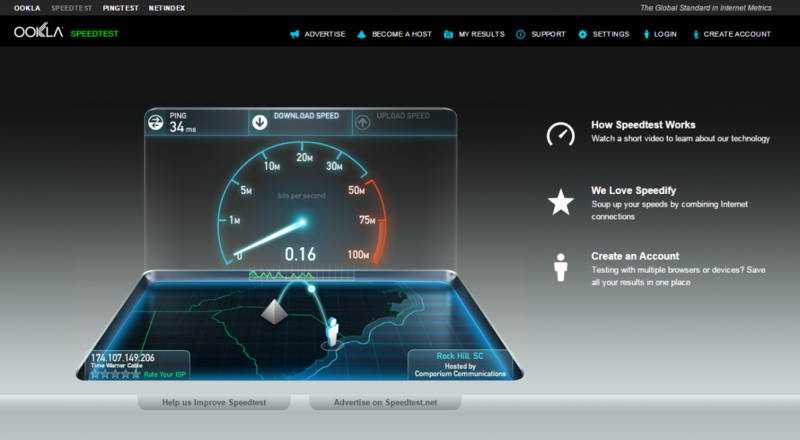 U-Verse is "Dedicated" Internet Speed(s). I HIGHLY recommend U-Verse, if it is available. Yeah, but I was speaking directly to cable, not ftth, fttc, or fttn. 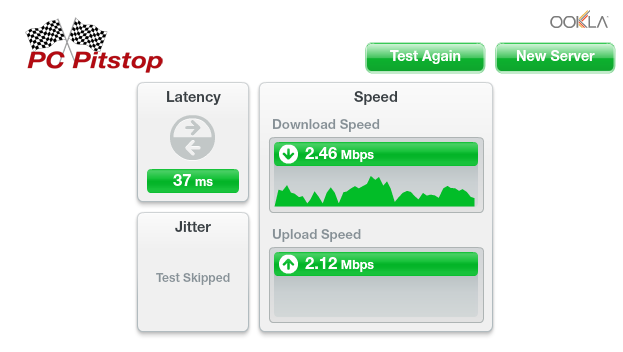 I've had FiOS since it was available here in N Tx, and it's been always up and always above advertised speeds. Does this mean it's a value? Hell no! It's expensive as hell, but the record for up time is worth the price Imho. Heh, I almost forgot my phone, my wife's phone, her tablet and laptop and the kids phone, the Xbone and Xbox 360 all n this one connection. TX, How much are you paying? I am paying $50 / month and we are unable to stream video. If you look at Time Warner's pricing, they don't have any tier where you can stream video because to stream video you have to a certain minimum speed and Time Warner cannot deliver that minimum. I honestly don't care about the maximum. Today was a pretty bad. It stopped working for a couple of hours and then came back at about 2 mB/s. 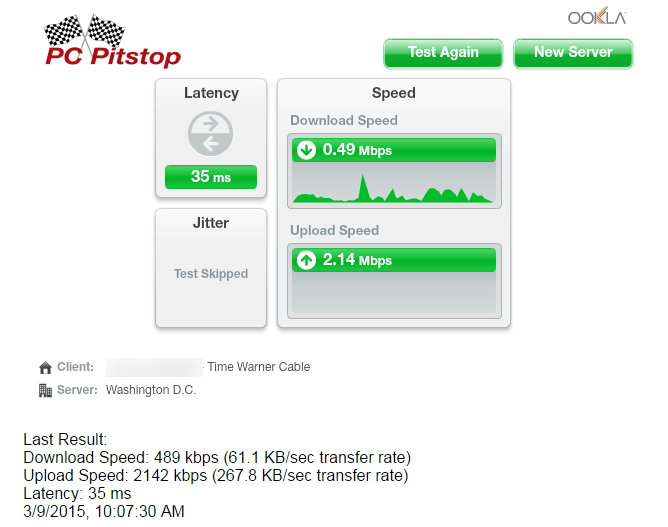 What does jitter mean? This is the first time that the jitter was so bad that it skipped the test. if things are that bad have you looked into using a 4g mobile connection for your internet or even satellite? I am buying the Turbo version. Notice that it says "up to" for the internet speed. So if I read that right, they only need to give me that speed every once in a while. for the speeds your getting you might as well be paying for the basic package. personally i'd suspect there's a fault on your line with such dismal speeds and get them out to check it unless the speeds dramatically increase at certain times of day. bet you can stream video (not hd video tho.) jacee even tho. it's so slow as long as it's a constant speed (like indy's test) and not fluctuating up and down like robs does. I have 4G on my phone but rarely use it. There is a tethering option on my phone but apparently they disabled it recently because they now want more money. The 4G near my house is only so so. Aside from the horrible download speeds, I also realized there is another problem. In Chrome, there is about a 10 sec delay between visiting web pages. It says resolving host. 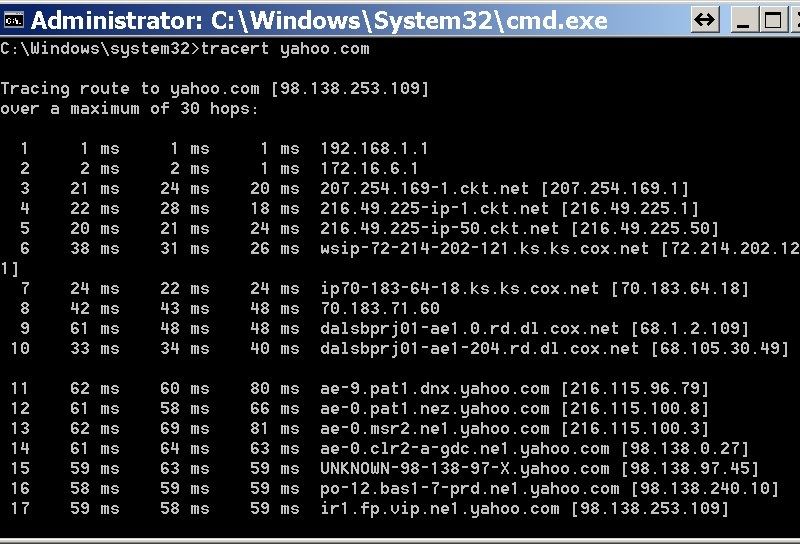 So I did some research, and then I did a tracert and it takes 50 ms to get to yahoo and there is a timeout involved. Does any one else have the same issue? I am assuming this has to be a Time Wanrer issue. that step 2 that timed out looks suspicious to me, not being anywhere near a networking expert or really understanding how things work, i'd guess all your problems are caused by that initial connection to your isp, so again i'd think i'd get them out to check your line. being in uk my traceroute is going to be completely different to yours but here's 2 i did, first is to yahoo.com 2nd is to the same ip as your last hop. We are paying $61/month for 45 Mb DL and 6 Mb UL with U-Verse. However; we have TV bundled in. Our total monthly bill is $148 for both TV, (U-300), and Internet. I highly recommend U-Verse. We are in Danville, CA; Texas has even higher speeds available with U-Verse. I believe Texas is just now rolling out Gigabit Internet on U-Verse; but, they've had 300 Mb DL there for a LONG time now. 75 Mb may be coming to my area, soon. Slower than dial up this morning. I am the only one in my house right now and most people are at work. how does your provider explain this? With two plex streams running. The story drags on. They told me that the problem was the modem, so I got a new modem. Then I ran a speed test, and it came back at 10 mbps. Which is half of what I am supposed to get. I don't really care about the 10 mbps, it is really when things go bad, it goes down to 5% of my speed. So I was worried that my scores that I have been posting, would be 1/2 of already horrible numbers. So they came over and looked at it, and told me that the reason that it goes from 20 mbps down to .2 mbps is related to my home network. Is that possible? It seems that such huge variations would be external, but I thought I would ask you guys. They also tried to upsell me to a more expensive package but I told them that it is not the maximum download speed that is my problem, it is the minimum. Please look at this tracert from here in South Carolina to yahoo.com one of the biggest sites in the world. This just does not look right to me and certainly cannot be caused my home set up. and told me that the reason that it goes from 20 mbps down to .2 mbps is related to my home network. Is that possible? yes it is, but you'd have to be doing something to saturate your bandwidth like uploading a video file or something to take such a hit on your speeds so i'd think you'd know if it was anything your doing that was causing such dismal speeds. don't you have a network expert working for you who can explain or further diagnose where your problem may be? still don't like that 2nd step request timed out in your trace, that definitely points to a problem somewhere to me, after all it should be the first step to your isp provider which is out side your lan. think the first step would be to log everything in your router and then study them to see if anything jumps out at you. really can't offer any better explanations or advice because i don't know a lot about networking, but if your upload is saturated then it is unable to handshake for the downloads so you get packet collisions and slowdowns far as i understand how things sort of work. I have hit a new low. The speed test could not complete because it was too slow. I also could not run the test at PC Pitstop because the internet was so slow that the Pitstop page would not run. Be clear when this happens, everything stops. 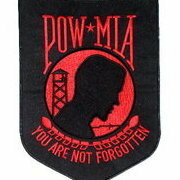 VOIP is off course useless, and watching a video shouldn't even be considered. I am on the hold with Time Warner but I have zero confidence that they will fix it. yes everything stops and the only time i've ever run into such a problem was when i saturated my upload connection running my ftp server, needing me to limit the amount of bandwidth it could use. you sure nothing/ nobody in your home is uploading anything maybe a cloud backup program or something, might be worth going into the router settings and blocking each device connected to the network one by one and see if you can narrow the problem down to a single device or something. Not to sure that you're not better off OneCool.... long time no see BTW...good to see you!